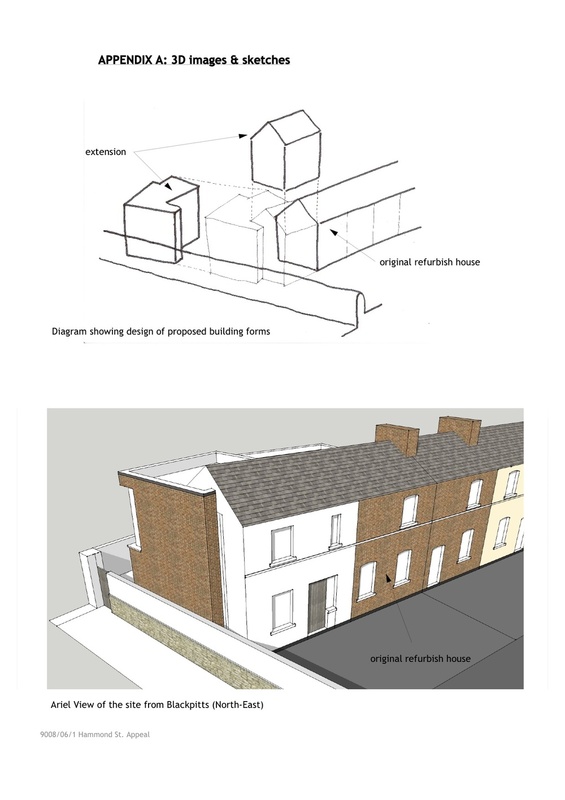 Our role in this project was to secure a difficult planning permission for a new extension to an end of terrace brick fronted artisan house in south Dublin city. Our clients had the opportunity to acquire the adjacent plot and add to the house, effectively tripling their previous accommodation. Our approach was to follow the pattern of the terrace in the side extension, and allow a more contemporary look to the side and rear elevations. As the terrace was a mix of brick and rendered facades, we felt that it would be appropriate to render the front facade extension and avoid the awkward look of mismatched brick.